As Apple kills off the 3.5mm headphone jack from the iPhone 7, a significant issue for airlines looms: a sizable proportion of their passenger base will no longer by default have a set of 3.5mm headphones to carry with them for use in the in-seat IFE system. 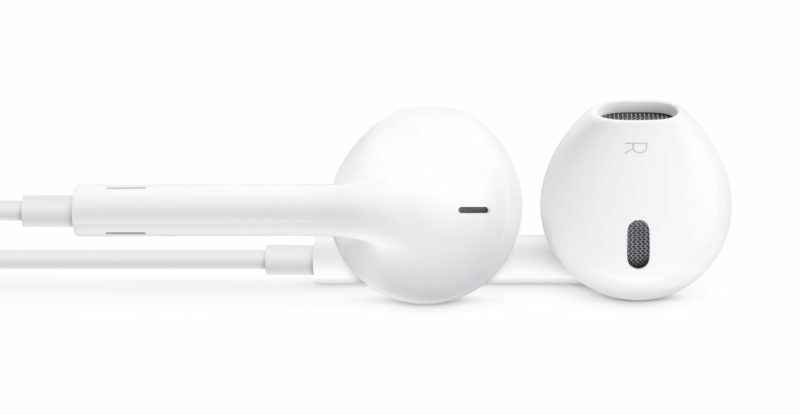 Apple will include a set of wired headphones, but with its own proprietary Lightning connector replacing the 3.5mm jack. The company, alongside many other retailers, will sell Bluetooth headphones as well. The #PaxEx problem is this: while 3.5mm headphones were the standard, passengers with Apple smartphones could reasonably be expected to pop their headphones into their carryon and use them with the latest airline IFE systems. For iPhone 7 users and beyond, that will no longer be the case. For the airlines that do not provide headphones, and for passengers who prefer to use their own to the airlines’ often cheap versions, this is a big issue. 1) Ignore the change entirely and provide headphones or adapters, either for a charge or on a complimentary basis. Handing out headphones has obvious cost implications — in manufacturing, staffing, cleaning, logistics and more. The quality of these headphones is also likely to be significantly lower than some customers are used to, which is an existing issue with airline-provided headphones, but likely to be magnified, creating a passenger experience negative. The adapter situation might seem to be a relatively simple one, but it does lack elegance and only solves the issue for customers with the Lightning-cabled headphones. The numerous people who are going Bluetooth are not helped by this solution. An uncertified adapter is likely to result in very unpredictable behaviour with the headphones, including the usual Apple accessory suitability warnings, poor performance, the possibility of damage to customers’ headphones, and the fact that flight attendants’ time will be taken with troubleshooting. 2) Contract IFE specialists and/or MRO providers to add Apple’s Lightning port as an audio-out option. For a start, this is expensive. It’s even more expensive given that this is proprietary Apple technology with a DRM chip, which will likely require costly licenses. Going off-brand with the connector results in the same issues as using an uncertified adapter. A further key issue in airlines’ decisions for this refit option is that Apple’s caprice with proprietary connectors has been a problem for the industry before. Remember the pre-Lightning Apple connector option a number of airlines installed to enable passengers to play content from their iPod on the IFE screen? In addition, while other PED manufacturers usually follow Apple’s lead on technology, the likes of Samsung and HTC are almost guaranteed not to use Apple’s Lightning connector. Will airlines need to consider a second port as well? 3) Certify seatback IFE and aircraft for Bluetooth. JetBlue’s IFE provider Thales, and industry leader Panasonic Avionics, could not provide immediate comment. An industry expert notes, “As you can imagine, you’re sharing a frequency with 2.4 GHz wireless. Obviously there can be a lot of factors related to interference and when you talk Bluetooth devices, it gets more complex because it’s not standard [on IFE]. Certification for such integration is a path as yet unbroken. The lead time alone for this kind of change is measured in years. The embedded IFE industry is not one used to serious disruption by Apple, though IFE providers have transformed iPads into portable IFE for many airlines, and are working towards seatback solutions. “IFE providers have not had to deal with this before, because none of their stuff has been disrupted. They aren’t thinking ‘we’ve got to get ahead of this. How are we going to get everything to the point where it can accept whatever’s coming in six months,” says JetBlue’s Perry. A couple of years ago, Panasonic changed the audio headphone impedance spec on all of its new inflight entertainment systems from the prior 300 ohms standard to the new 40 ohms standard that is common in the consumer world. The move ensured that passengers could use their own headphones in the latest generation IFE systems, without worrying about poor audio or (proverbially) blowing out their eardrums. Ironically, with Apple’s latest move, airlines and IFE providers will have to deal with the fact that iPhone 7 users and beyond will not be able to listen to the entertainment using their own smartphone headphones. 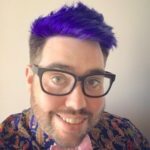 “I’ve been speaking to a bunch of IFE business partners over the last few months and asked them what their plan is, and it’s become clear to me that none of them have a plan. At all,” says JetBlue’s Perry. Could JetBlue’s own current protocol around headset sales be a model for other airlines? 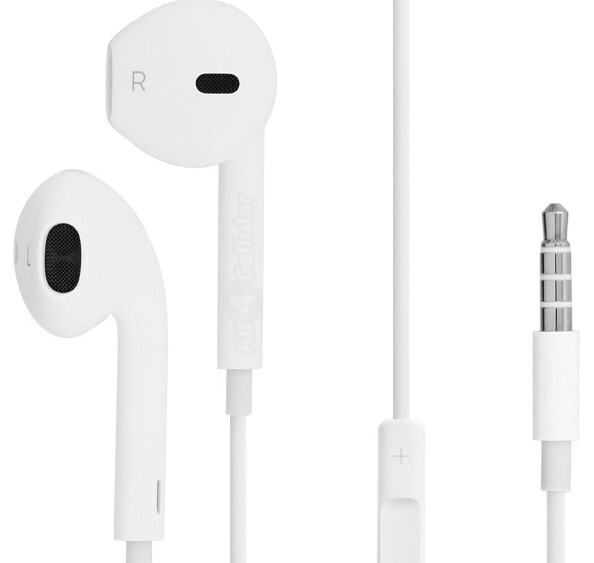 The carrier, which offers free live television via its Thales/LiveTV seatback IFE (and is rolling out a new Thales system in 2017), currently offers a set of 3.5mm headphones for $5 to passengers who haven’t packed their own. But Perry suggests that JetBlue — and indeed other carriers — may not feel able to charge for 3.5mm headphones if passengers bring their own with Lightning cables. Not sure I see how Apple’s headphone changes cause any more problems than originally existed. iPhone 7 & 7S will ship with analogue to lightning connectors so I suspect most people will happily continue using their existing headphones which are (a) almost certainly better and more comfortable than what apple hands out with the iPhone and (b) will continue to work just fine on aircraft. As for the Bluetooth headphone issue….well that’s not exactly new. Charging is a serious issue. Today I can plug in and charge my device while consuming content. I arrive at my destination entertained and with a full battery for whatever is next. By stealing the one port for audio I now have to choose between the two options rather than do both. The story does ignore the bigger issue around DRM/DMCA rights and content licensing and what that means for these devices. Removing the headphone jack is a small problem for travelers relative to that. Since Apple had such market clout, third party vendors are surely going to be producing “digita” headphones exclusive for iPhone with the lightning audio port. Yes. You’ll have an an adapter for your old headphones with your new phone, but a certain subset of passengers will now have a new headphone, incompatible with all the legacy equipment. Creating an environment where a reverse adapter is also required. There is also the charging and using problem as well. Anyone with an iPhone 7 won’t be able to properly utilise streaming IFE for longer flights since they will now no longer be able to charge and listen concurrently. That will work for the first 6 months or so, but presumably many people will sooner or later move to lightning or Bluetooth headphones as their primary iPhone headphones, just as people fairly quickly stopped using 30-pin-to-lightning adapters and just bought new charging cables and docks. Once a person’s primary headphones are either lightning or Bluetooth, they won’t have an easy way to connect on the plane. Some Bluetooth headphones, like Bose’s noise-cancelling sets, still offer the option of plugging in via the 3.5mm jack, but smaller ones like Apple’s Airpods don’t offer that option, and many cheaper Bluetooth headphones don’t either. Last time I saw, Apple had only a 20% market share, a bit higher in the US. I don’t see the problem here: certainly nowhere close to being a “significant issue”. Those customers will simply have to bring a set of regular headphones or buy some expensive (it’s Apple) adapter gizmo. Or simply save some money and buy standards-based phones. Talking about blowing things out of proportion! This is true but Apple has often been a trendsetter in moving the consumer electronics industry away from outdated standards, like pre-USB connectors and floppy disks, and other companies have typically followed Apple’s lead within a few years. There are already a few Android phones without a headphone jack. So this is likely to quickly become a problem for far more than Apple users. For airplanes that have entertainment system on the seat-back, most (if not all) airlines still have a headphones in the seat-back pocket that work with the system installed. I don’t really see the issue either. I already use a pair of Bluetooth headphones with my iPhone 6, and always have a second traditional pair with a 3.5mm jack with me for when I fly, or for when my Bluetooth ones crap out. It’s of zero inconvenience because the pouch I keep my Bluetooth headset in also holds the standard headset. I’ll always be prepared. It’s simple enough, and cheap enough. I’m surprised the author put out this article being that he is so ineptly educated on the subject. I’d bet a beer the author is an Android user cause he obviously doesn’t know Apple is including a Lighting to 3.5 mm Headphone Jack Adapter in the box with every iPhone 7…so that information nullifies the article. Thanks for trying. Sure lots of people are dumb but there aren’t many people dumb enough to assume a Lighting adaptor will be at their seat. Most people are thrilled just to get a free bag of peanuts, let alone a seat back TV. Additionally, the author is ignoring the fact that the majority of flights have no IFE, and don’t pretend like listening to sky radio is IFE. How many airlines have a TV at every seat in the US? JetBlue and Virgin America right? It’s hit or miss on the legacies (mostly miss) and forget about it on basic airlines like Southwest, Spirit, and Frontier. I retract my comment, as I’m the idiot, not the author. A male to male adaptor is needed, not male to female adaptor like the one being included with every iPhone 7. Also can’t forget it’s still technically illegal to use Bluetooth inflight.